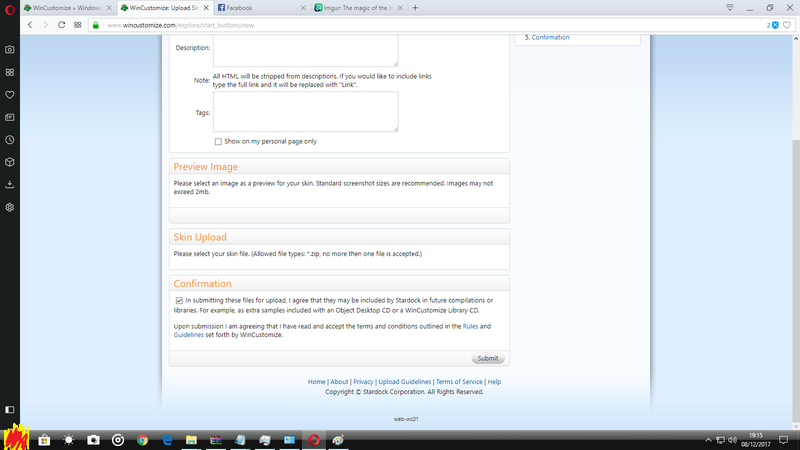 SOLVED - I can not upload the preview and file. You need to enable Flash. Thanks for the help but this did not work. Flash is enabled in all browsers. I noticed that sometimes the upload buttons appear for a very short time, less than 1/10 of a second. I can not select them using the TAB key. I have already turned off the ad blocker, I have already restarted, I have already cleared the browsing data (in all browsers) ... I still do not know what to do. I just updated a Windowblind Christmas2016. It appeared to upload but the only one that shows is still last year with last years date. Did this 2 hours ago and have done it many times so it's not like I did anything wrong. The problem now is no one be be around till Monday. so instead of me uploading it again I will wait. In case my was an update so I clicked "Edit on my original WB and did it that way as that is the correct way. Updates go back in the upload queue and require approval again. I knew that but forgot. Sorry. Was just coming back here to remove my comment. Joey you can edit your post and in the title just type solved. Only you can do this. Or just let it die as it will quickly.